The restoration of Michelangelo's magnificent frescoes in the Vatican's Sistine Chapel is perhaps the most controversial event in the art world in the past three decades. Now, after nearly fifteen years of effort, the restoration is finally complete. This unique volume - the first to document the project - is the result of an unparalleled international photographic campaign. For the first time, the restored Chapel is shown in its entirety, from the Creation to the Last Judgement. Glorious, full-colour photographs - 250 in all - portray the frescoes both before and after their restoration, providing an unforgettable view of the meticulous work. 9 7/8 x 13 in. 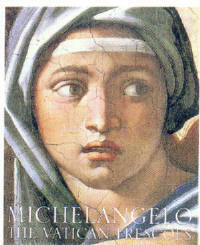 Pierluigi de Vecchi is a professor of Medieval and Modern Art at the University of Macerata. Gianluigi Colalucci is Chief Restorer for the Vatican's Laboratory for the Restoration of Paintings, Papal Monuments, Museums, and Galleries. 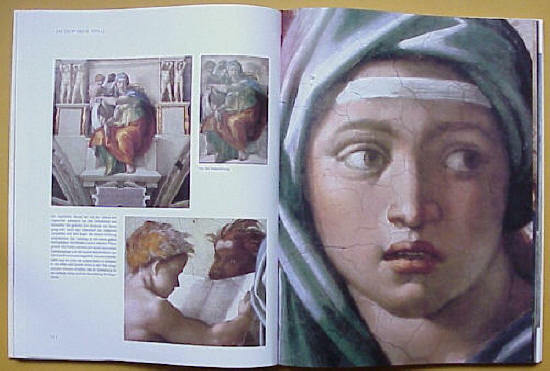 He spent fourteen years restoring the Sistine Chapel frescoes. Takashi Okamura has been photographing masterpieces of art in Europe for over thirty years.